On his debut mini-album, ​I’m Never Really Here​, ​darvid thor (The Cactus Channel, Frida, Karate Boogaloo) explores what it’s like to make music alone. After playing and writing in bands for over a decade, ​I’m Never Really Here is darvid’s first solo venture, and it finds real solace in the solitary. These songs might seem just dreamy on first listen, with their meandering guitar lines and warm, woozy synthesisers, Thor’s voice at turns a light falsetto and a warm tenor but ​I’m Never Really Here handles material that’s sometimes heavy with a light touch. At times anxious and quietly anguished, tender and candid, these are songs about a growing-up, a breakup, and everything in between. There are traces of Darvid’s soul influences and undergrad jazz degree here, but most present are the wide array of indie and alternative acts that have been influencing his singing, playing, and production: catchy and understatedly complex, these songs both sparkle and stutter. 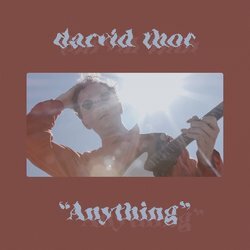 Darvid Thor unveils new single ​“Anything”​, the fourth cut and first accompanying video from his debut mini-album ​I’m Never Really Here​, out March 1. Driven by eerie synths, dark fuzzy bass and filtered drums that float with an uneasy intensity, Darvid’s lyrics muse on perspective and letting go.